Just when you thought that the gyro versus fins debate might finally reach closure, yet another new stabilising system is announced. This time it comes from Humphree, the manufacturer of high speed interceptors. This Swedish company has combined its existing interceptors with new zero-speed fins. A cynic might argue that this development is not new, as it has always been possible to combine any of Humphree’s five basic interceptor systems with another manufacturer’s fins, or with a gyro instead. And doubtless those combinations would deliver a sophisticated boat control system. The big difference with Humphree’s system is that the myriad functions are all under the control of a single digital brain, not two non-communicating electronic minds. With that integration in mind, I’d suggest two key points arise. 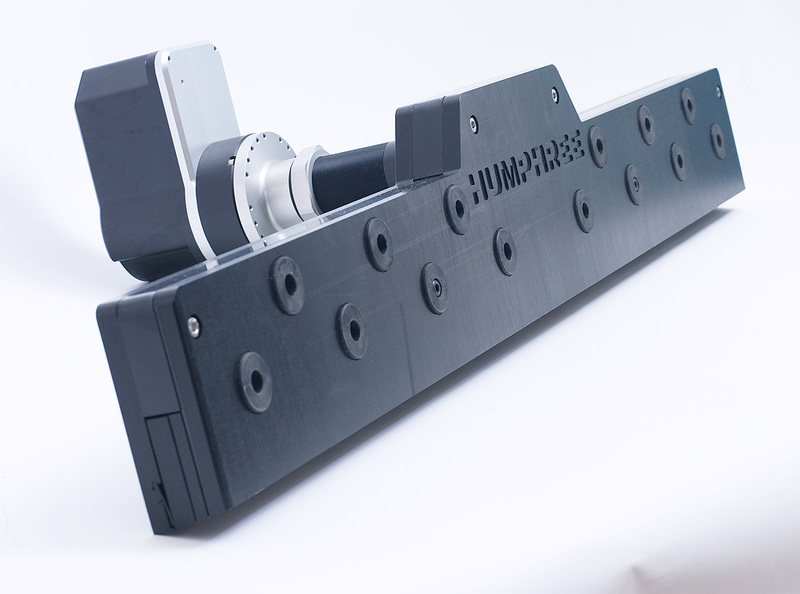 Humphree’s system includes as standard its CTOS function (Coordinated Turn Optimisation System). In my opinion, that is significant because it adds the final element of comfort and safety under way. CTOS provides what I call a ‘gravitationally neutral’ turn, that is, the angle of heel in a turn is controlled such that, whatever the boat’s speed, your body is neither forced towards the outside of the bend, nor left to fall towards the inside of the turn. That constancy will also be relevant to all those G&Ts you’ve just lined up on the bar. Secondly, this system is based around Humphree’s top-end Active Ride Control. As such it incorporates automatic control (with manual override, naturally) of roll and the associated list induced by crosswinds or a static transverse trim. Potentially, I see this as one of its significant benefits; the ability of the interceptors at higher speeds to substantially reduce the current draw of the electric fin actuators/motors, which have a maximum rating of 80A. Of course, modern boats are rarely short of power, but the less the generators and/or alternators need to feed the batteries the better. Humphree’s assertion that the system controls pitch, as well as roll and yaw, needs qualifying. Any fin system will reduce pitching to a degree simply because of the vertical damping effect of having a pair of immersed plates amidships, resisting being pulled up and down through the water. However, I talked to Humphree’s technical guru, and the company is not claiming that pitching in waves will, or even can, be eliminated. The pitch it refers to could be more suitably described as the bow-up, bow-down running trim, which the interceptors continuously optimise as fast as they can based on what the boatbuilder and/or owner has told the system is best. With under 1-second from fully-up to fully-down, that is extremely quickly, and it naturally has a damping effect on pitching in more general terms. One question is why Humphree did not combine its interceptors with a gyro instead. The effect of Humphree’s interceptors can be felt down to around 15 knots, but to exert their full degree of control normally requires 20 knots or more. Likewise, although we all know how effective gyros are at zero speed, I’ve been on boats where their efficacy has started to tail off at speeds as low as 10 to 12 knots. So although it wouldn’t always have been the case, combining Humphree’s interceptors with gyros might have left some boats with an uncomfortable control gap in the middle of the speed range.